For many of the businesses we work with, no commercial refrigeration issue would ever be considered small. A store’s worth of food spoilage all at once would be considered not just a setback, but a full-on emergency. This is why we put such a premium on responding promptly to our customers’ needs. However, we can also understand why some people feel the need to take their repair into their own hands—when there is a problem, it needs to be fixed immediately. 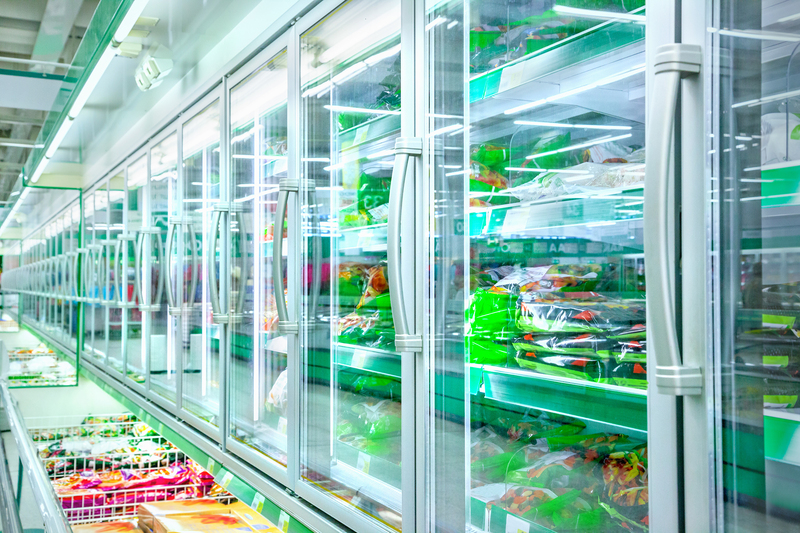 With these considerations in mind, we’ve put together a simple guide outlining some of the types of issues with commercial refrigeration in Florida that generally require professional work, and a few which can be done on your own if you’re handy. Power supply problems are actually not the most difficult fix on the list, but tackling a power supply problem on your own is an almost surefire way to void your warranty if you still have one. If your warranty has already lapsed, your average handyman with light electrical experience could possibly do the job. We believe it would still be more practical to hire an expert, given that the worst-case scenario is messing up your entire electrical system. A good rule of thumb is that any problem related to the electrical system is worth hiring a professional to complete. Anything more serious than adding more refrigerant needs to be done by an expert, and on complex systems, even refrigerant recharges should be handled by a professional. If you recharge your refrigerant on your own and find that your commercial refrigeration system is still gradually losing its ability to cool, your system either has a leak or something more serious going on. Either way, these are issues that require professional maintenance. Weird sounds, weird smells, problems that defy explanation—when you’ve tried every simple fix, and have racked your brain, but simply cannot figure out what’s wrong with your commercial refrigeration in Florida, that’s another problem that requires professional help. Commercial refrigeration systems are large systems with many interconnected parts. An expert can read the signs better than a layperson because they have a clearer idea of the way those parts are connected, how they do their job and where problems are likely to arise. If you’re stumped, waste no more time—call a professional. Problems with lighting: You can easily tackle such problems on your own with a kit. If you need help, consult YouTube. If your fix does not work, the issue may be electrical. Issues with your doors icing over: These issues can also often be fixed on your own. Sometimes the problem occurs because the door does not fully close, and this generally requires only new hinges or, at worst, a new door. If the problem is not with the door, but with the door heater, that is probably better tackled by a professional, though it is a simple fix compared to some other problems. Cracks or leaks in panels: Cracks or leaks in the panels of your refrigerator can cause spreading icing issues. These can be fixed on your own, as well, with a high-quality silicone-based caulk. If you have any questions about an issue you’re having with your commercial refrigeration system, don’t hesitate, give us a call today. We’re among the most trusted experts in commercial refrigeration in Florida, and we’re as happy to have an opportunity to answer our customers’ questions as we are when we get a commercial refrigeration system up and running again. If you want to work with an experienced crew who all love the work they do, call 5 Star Refrigeration & Air Conditioning, Inc. today.